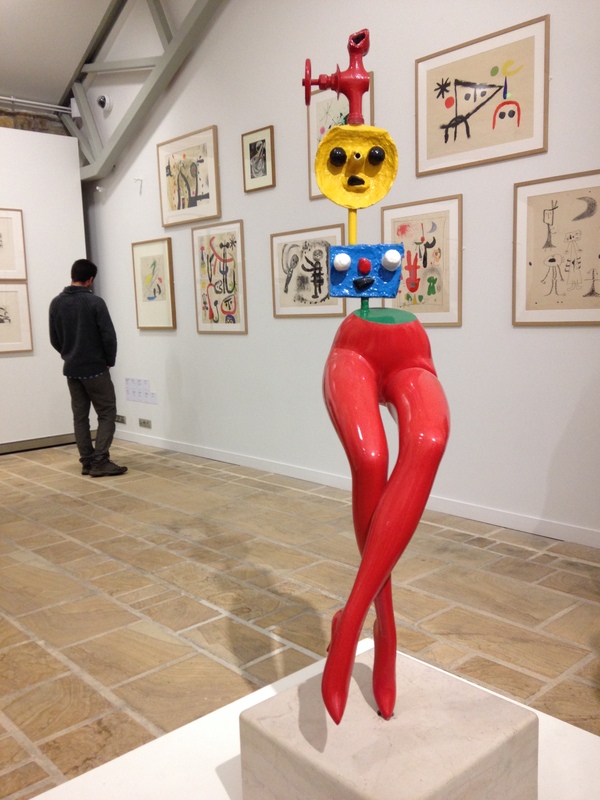 Last October, I had the opportunity of attending Joan Miró’s exhibition at the Fonds Hélène & Edouard Leclerc pour la Culture, in the town of Landerneau, Finistère, Brittany. 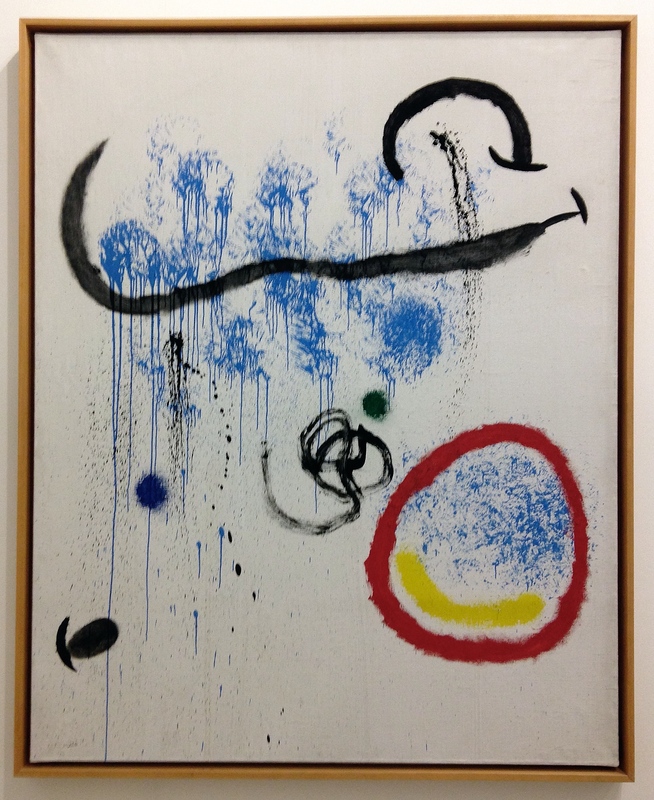 I have always seen Miró as a “colorful guy”, a bit eccentric but with a special touch as far as his artwork is concerned. 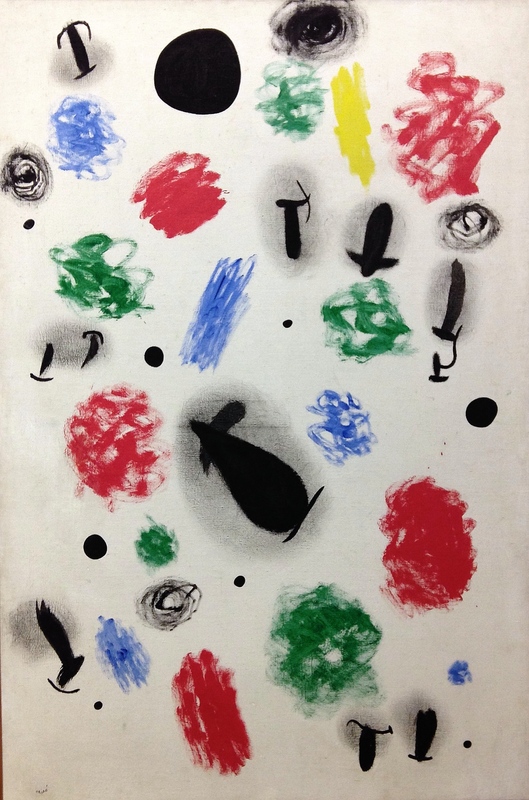 A few words about the artist : Joan Miró i Ferra (April 20, 1893 – December 25, 1983) was a world-renowned Spanish Catalan painter, sculptor and ceramist who was born in Barcelona, Spain. 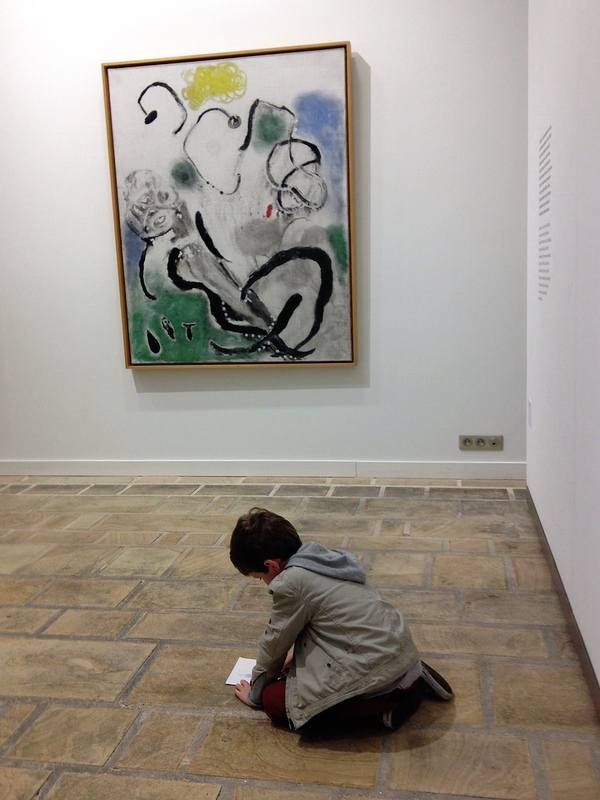 He was exposed to the arts from a very young age. He enrolled the School of Industrial and Fine Arts in Barcelona until 1910, during these years he was taught by Urgell and Pasco. * Typhoid fever in 1911, which helped him to decide to devote his life entirely to painting by attending the school of art taught by Francesc Gali. 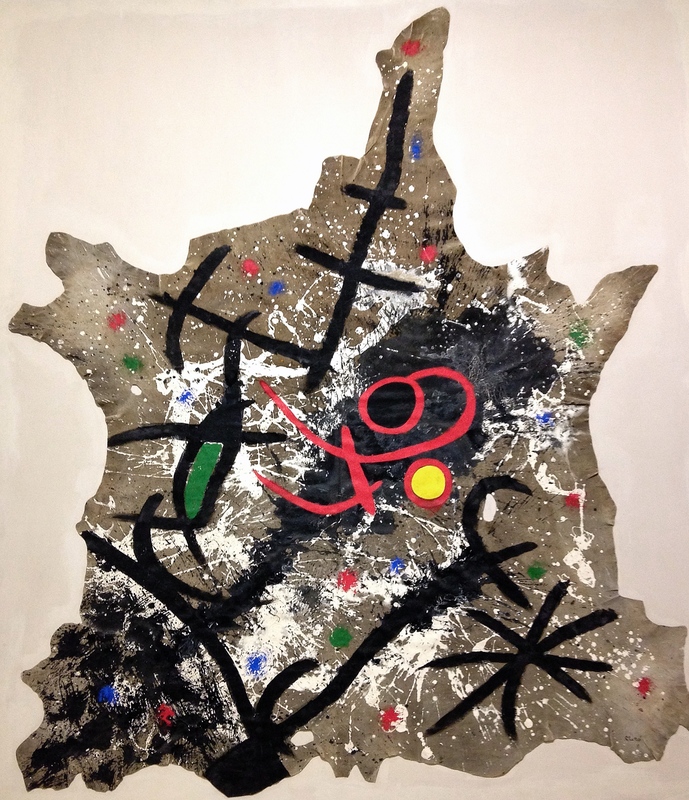 * His first exhibition in the Dalmau Galleries, Barcelona, was set up in 1918, his works before 1920 (year of his first trip to Paris, where he met Pablo Picasso) reflect the influence of different trends : pure and brilliant colours used in Fauvism, shapes from Cubism, influences from folkloric Catalan art and Roman frescos from the churches. 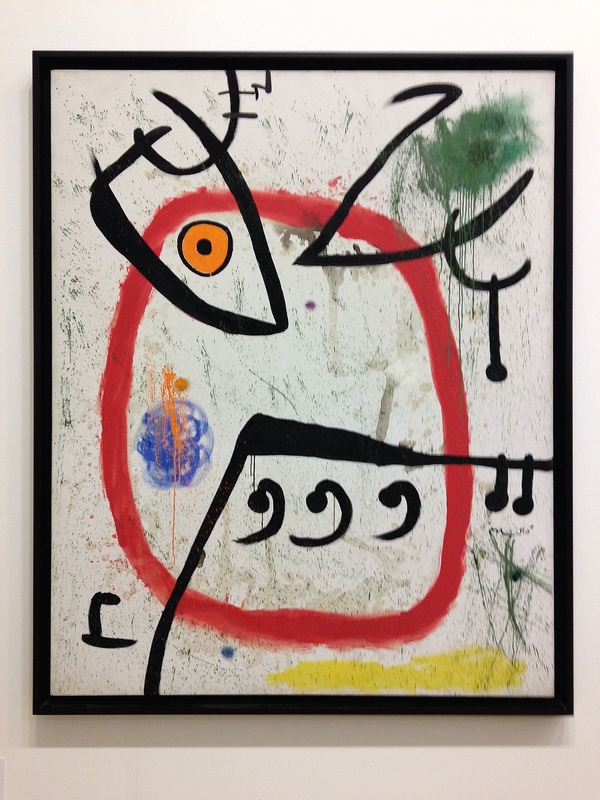 * In 1929/30 Miró began to show some interest in the object and started some collages, this lead him to making some surrealist sculptures. 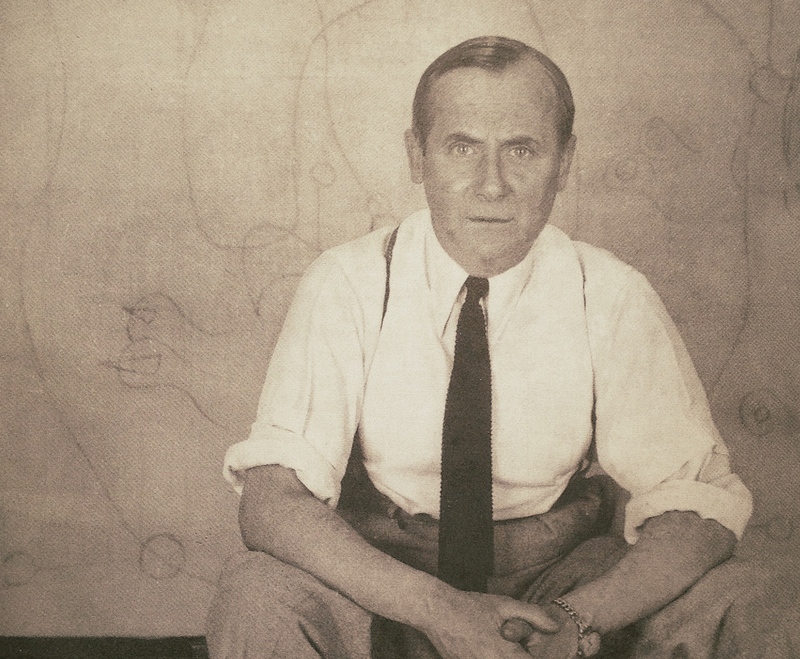 He applied various artistic forms: engraving, lithography, water colours, pastels and painting over copper. * 1947 saw his first travel to the USA, he made a mural for the Terrace Plaza Hotel,Cincinnati, OH. 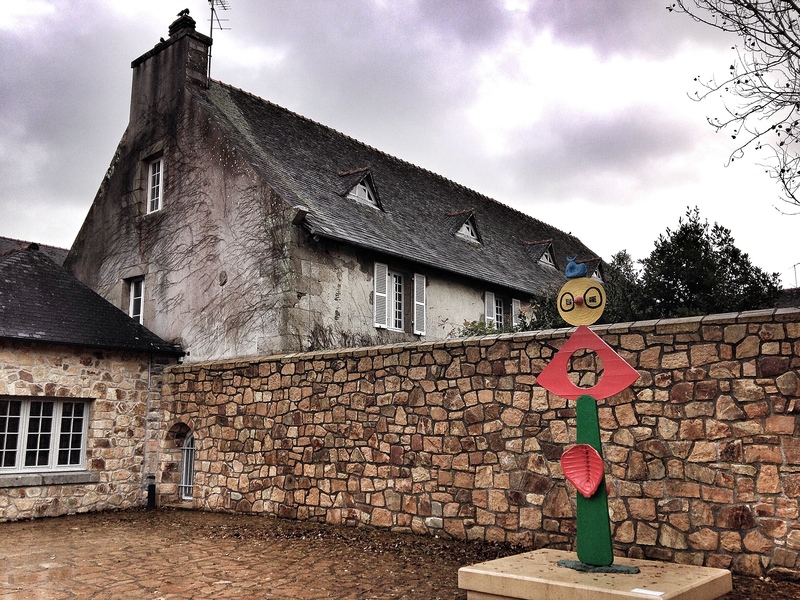 * In 1957 and 1959, he made two of his ceramic murals for the UNESCO building in Paris. 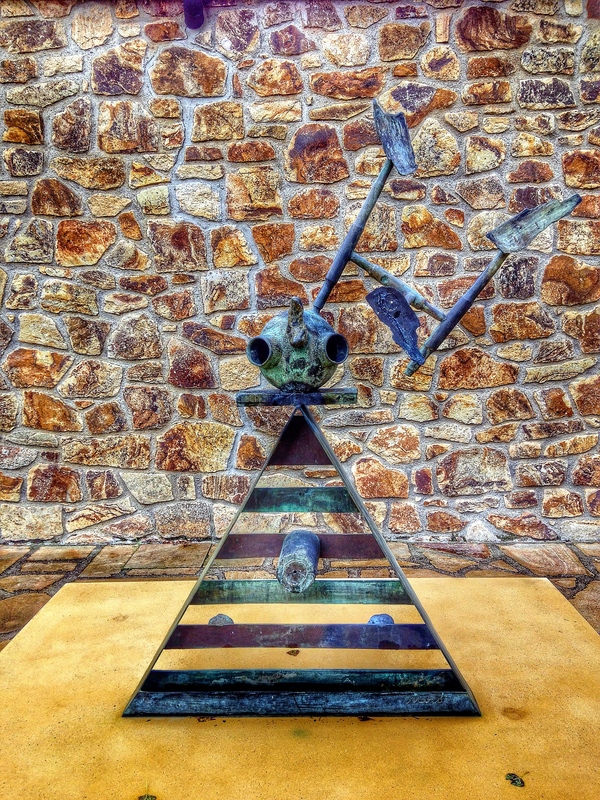 * In the end of the ‘60s he concentrated more and more on monumental and public works, canvasses. 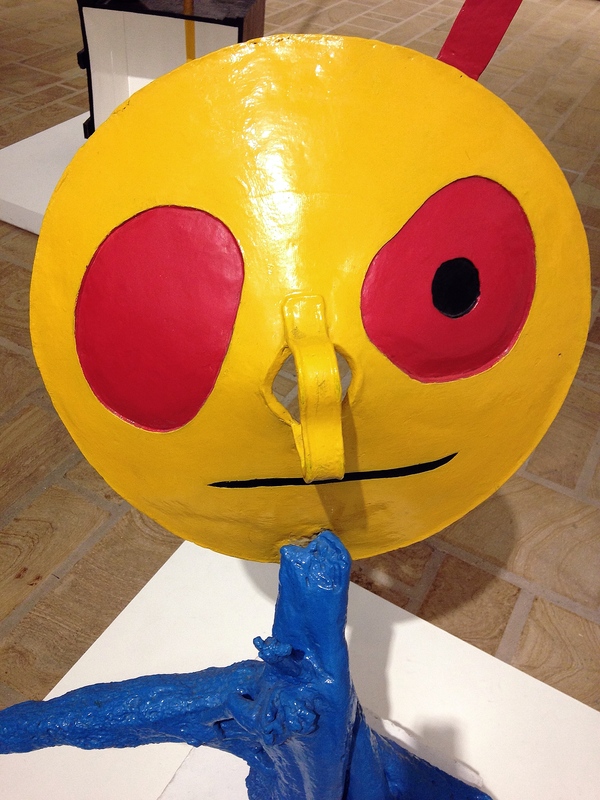 His interest was focussed on the symbol with a very eccentric style which was his unique approach of his artwork. * In 1968 he was awarded an honorary doctorate of the University of Harvard, MA. 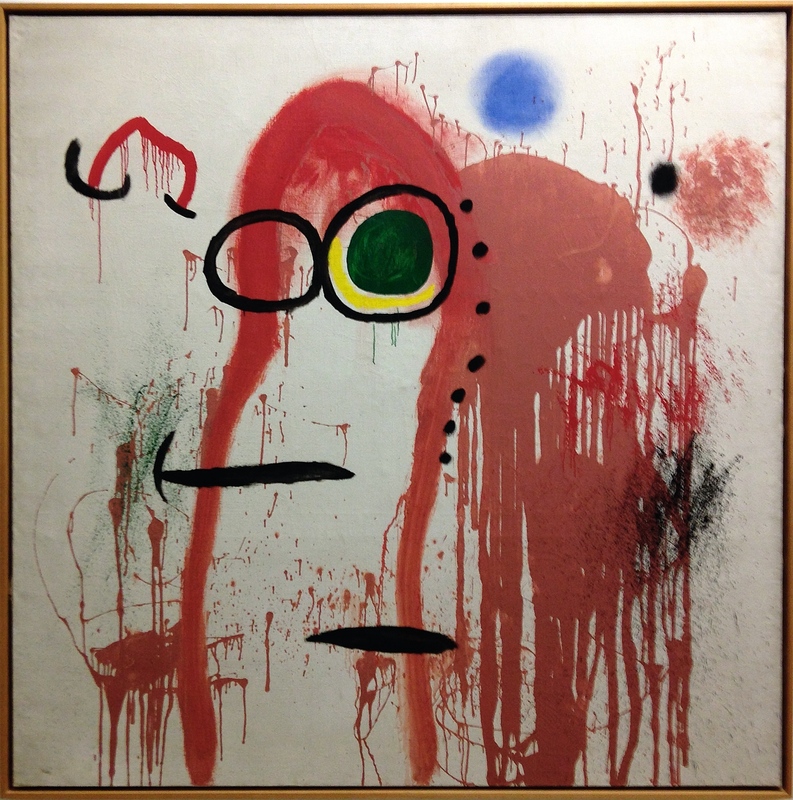 * In 1976 the Joan Miró Foundation Centre of Contemporary Art Study was opened in Barcelona. Four years before his death, the University of Barcelona promoted him with an honorary doctorate…. 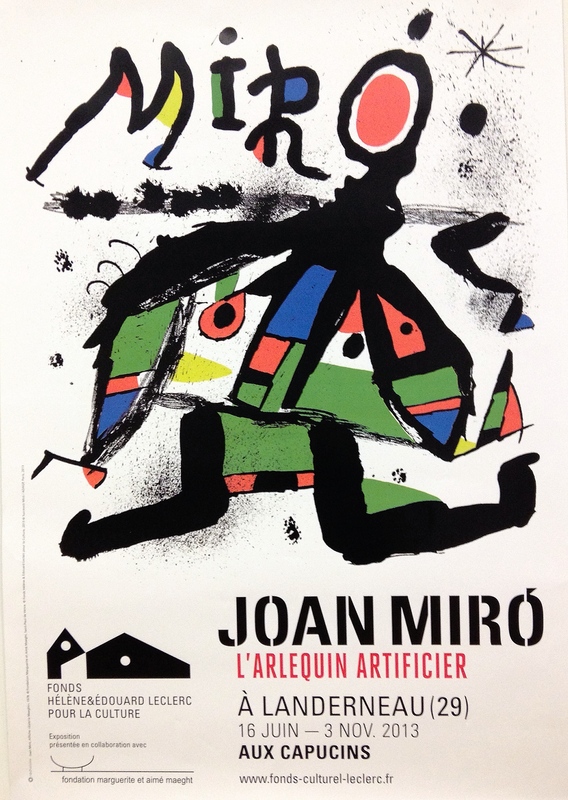 A museum dedicated to his work, the Foundation Joan Miró, was established in his native city in 1975. 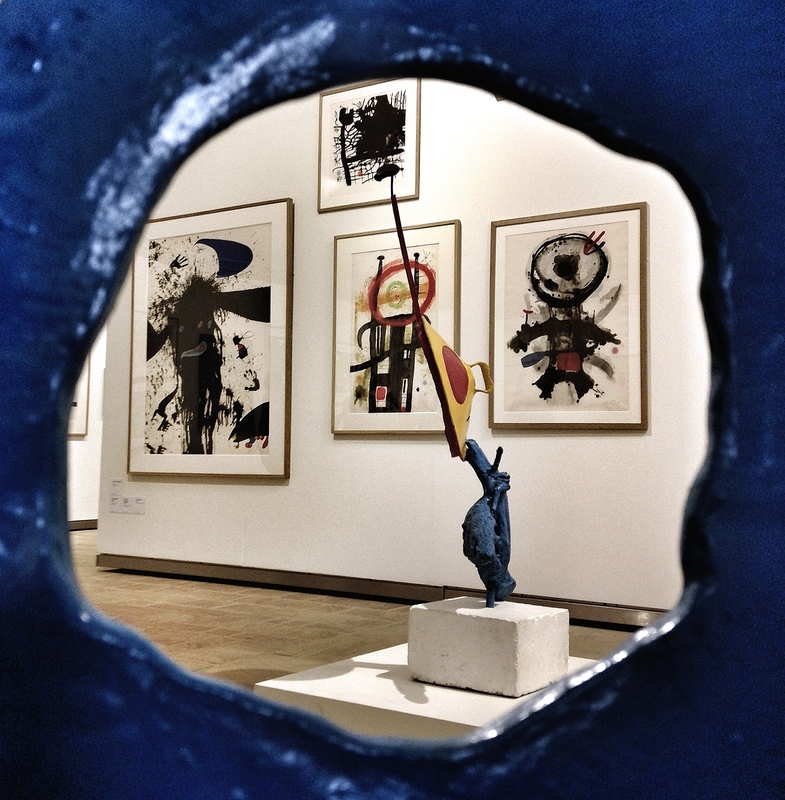 Let’s visit the Miró’s exhibition! 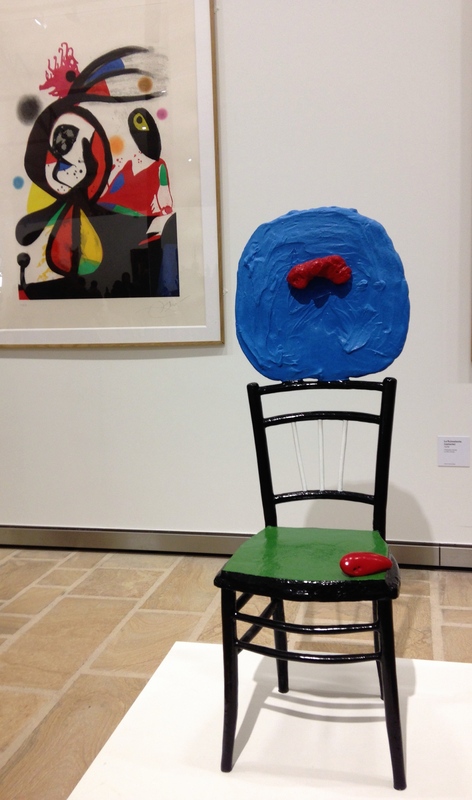 I hope you enjoyed the visit, I will be interested to hear your views about Miró’s work. 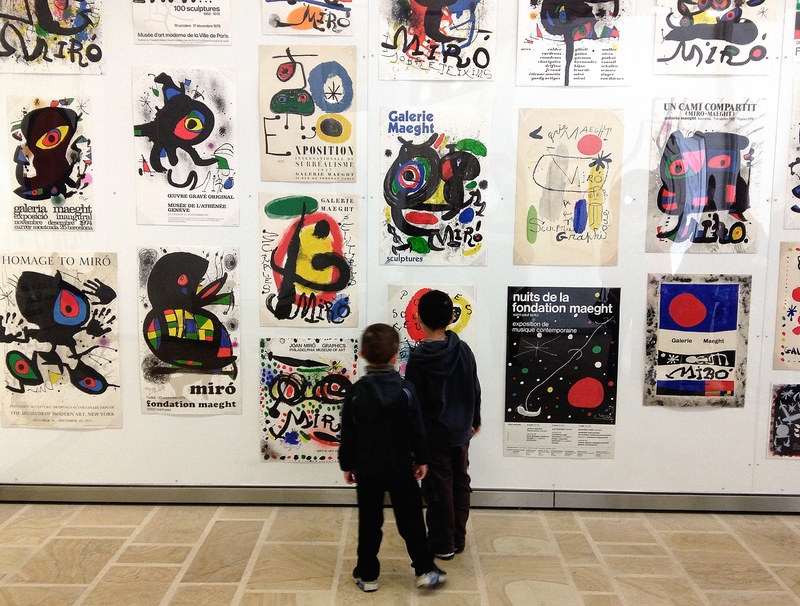 Looking at your photos I am struck by the way kids seem to relate to these works of art… I hope the exhibition comes to Rennes! 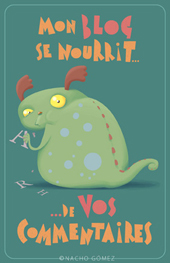 Have a nice evening, Louise. There was a lot of kids visiting while I was there, some of them were really amazing. 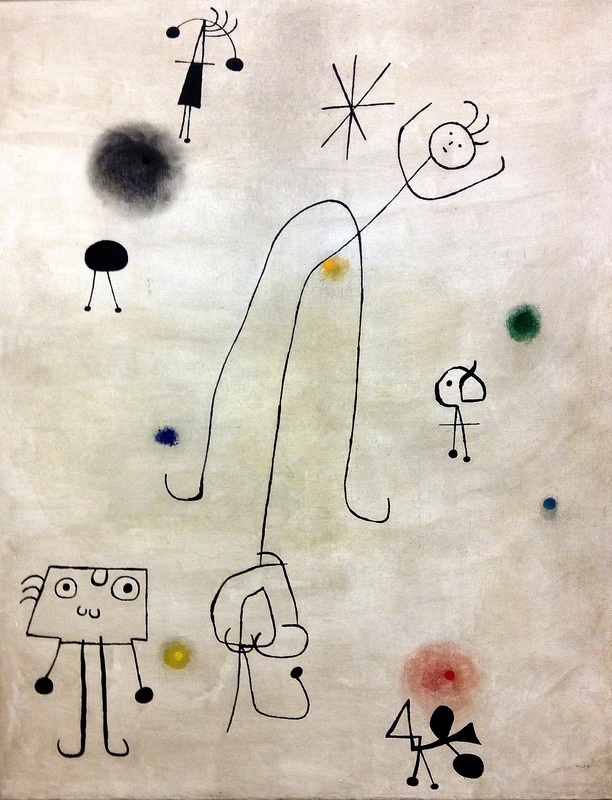 I highly recommend, if ever Miro comes to Rennes. Enjoy your evening.